We all know that summer is a busy time. This is very true for globe trotting mice. Saxton has already been on a couple of adventures and is planning more. His friends are available in the Library for checking out and Lingo tickets are available to those who read to them. If you want, take pictures of them on their travels too and we’ll try to post them! In the meanwhile, watch for more Saxton travel updates and a special surprise for Saxton fans in the Fall! Not wanting to miss Summer Reading, but still wanting to visit the castle of Edinburgh, Saxton made a quick trip to Scotland. He reports having an excellent time…. hopes to go back soon. We have more pictures from Saxton’s exciting visit to South Korea. And enjoyed the cuisine and his host Jong Gil Lee. He cannot not thank him enough for his hospitality! Now available on the Library’s Roku boxes: Netflix! We already had hundreds of movies and TV shows available for streaming off our lendable Roku Streaming Media Boxes. Now we’ve added Netflix service, providing access to award-winning Netflix-exclusive content (like “Stranger Things” or “A Series of Unfortunate Events), feature films, documentaries, TV shows, kids content, and more. Stop in the Library to check out a Roku box for a week, and see what Netflix has to offer! More information on our Roku devices (and the lending policy form you need to sign before checkout) is available here! Do you remember the excitement you felt when you entered a library for the first time? The possibilities it offered seemed endless. In the words of Robert Putnam, “People may go to the library looking mainly for information, but they find each other there.” Our library is no different, readers discuss books and lives in various bookclubs, new moms connect at baby story-times, elderly people, often facing difficult life transitions, attend events and find that they make new friends, and knitters gather to teach and support one another. We are fortunate that our Town and State have provided funding to repair, update and expand the Library building this year. Now the Board extends an invitation to all to become part of this project by providing the funds needed to improve the furnishings that will be used within the new and refurbished space. With the start of summer, the State of Connecticut officially closed down its ReQuest state wide catalog. We hope you haven’t really noticed! The Saxton B. Little Library along with most others in the state has continued to provide Inter-Library Loan Services. While the process might be taking a little longer, we have truly appreciated your patience and support and will continue to do our best to get you the things you are seeking! For those who wish to still search other libraries’ catalogs, if you hover your mouse over the “LOGIN TO MY ACCOUNT” tab, you will see a drop down that reads: “Connecticut Library Catalogs” this is a link that will take you to SBL’s web page where you will find links to other catalogs in the area. 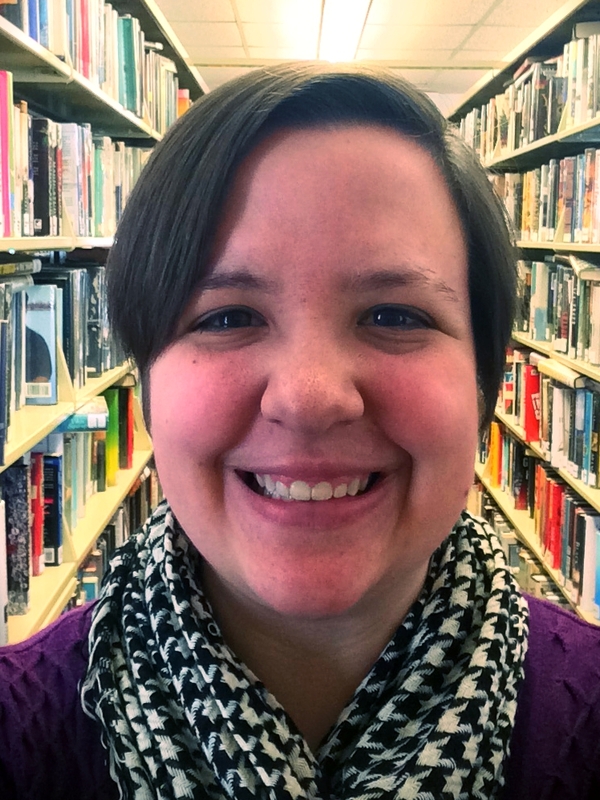 Cait Orlomoski, Adult Services Librarian, Featured In The ReminderNews! Cait Orlomoski, our Adult Services Librarian here at Saxton B. Little, was recently featured in the Reminder DailyNews (part of the Hartford Courant)! 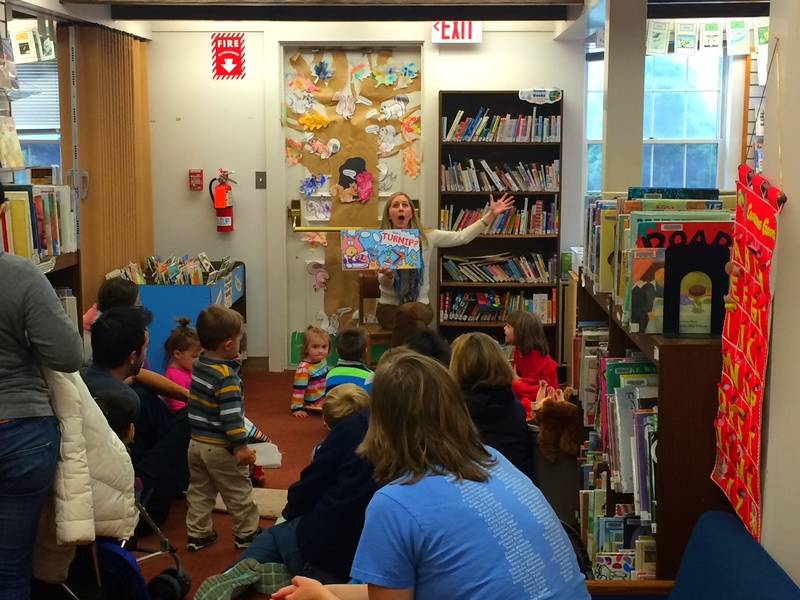 Megan Quigley, Children’s Librarian, Featured in the ReminderNews! Megan Quigley, our Children’s Librarian here at Saxton B. Little, was recently featured in the Reminder DailyNews (part of the Hartford Courant)! Stream Movies through Freegal Movies! The Saxton B. Little Library now offers streaming movies and TV shows through Freegal Movies. Patrons will be able stream (i.e. play in your internet browser) movies and TV shows in a variety of genres. To access Freegal Movies, go to: https://columbiactlibrary.freegalmovies.com/ and click on “Login” in the top right-hand corner of the screen. You will need your Saxton B. Little/Columbia library card (the number on the back will start with the digits 21023, followed by 9 additional digits) and your library account password (usually the last four digits of your phone number) to access Freegal Movies. You must be a Columbia resident to access this service. You can stream up to three movies or TV episodes per week. Keep track of how much you’re streaming on the top right-hand corner of the Freegal Movies website. There is a 48-hour viewing window, but movies/shows can be watched multiple times during that 48-hour time period. No special software is required – streaming takes place right in your browser. Mobile apps are available for Apple and Android devices, so you can watch movies on the go! Simply search for “Freegal Movies” in your app store. If you have any questions, please contact Cait at the Library, either via phone (860-228-0350) or email (corlomoski@columbiactlibrary.org).